A paper on delirium in older adults has been withdrawn by a geriatric journal, after the clinical hospital notified the journal of problems in the data. This abstract has been retracted on the request of Khoo Teck Puat Hospital. We regret to announce that we must retract this article because irregularities in the published data have been detected post-publication. We were contacted by the authors institution – Khoo Teck Puat Hospital. – who notified us that the data included in the article was not correct; I understand there had also been some issues between the authors and the institution themselves. The paper has yet to be cited, according to Thomson Scientific’s Web of Knowledge. Neither the hospital nor the author has responded to requests for comment. We’ll update with anything we learn. 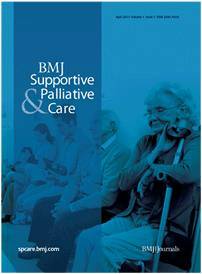 The paper – which is actually a poster abstract – appears very similar to the abstract of a previous paper from different authors, namely: “Factors associated with delirium severity among older patients” (2007). It sounds as though the authors were the ones confused, although perhaps not delirious. The first sentence of the abstract is vacuous. Logically, one cannot measure the “severity of delirium” unless one has *already* identified and quantified “factors associated with delirium” which vary with severity. Likewise uninformative are the statements that delirium has “detrimental effects” and that more severe delirium has more severe detrimental effects. Finally, I suspect that all acute care nurses everywhere in the world already screen for moderate-severe delirium (oriented x 3? Responds appropriately to questions? General affect? Competent to consent to medical treatment?). I’m not criticizing the original Voyer et al. study (which @Neuroskeptic links to, below). That paper makes a different and more informative point, i.e. that mild delerium may be qualitatively and etiologically different from more severe delirium. The retracted abstract misses that point completely, suggesting that Rajaram et al. not only may have borrowed from Voyer et al., but also failed to understand what that study was about. Oops, I forgot to link to the other paper. Here it is: Factors associated with delirium severity among older patients by Voyer et al (2007).